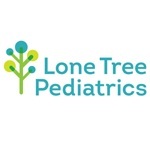 Lone Tree Pediatrics is a pediatric office that treats patients from newborn to teens. Our board-certified pediatricians offer comprehensive care, including newborn care, well child care, school and sports physicals, immunizations, sick visits, asthma management, and ADHD management. Our commitment is to provide personalised care for your child at every age and through every stage. We listen carefully, communicate clearly and provide exceptional care at every visit. We recognise and celebrate every child’s uniqueness and value the relationships we form with our patients and their families.